There have been many races in the cellular world: the race to 2G, then 3 and now 4G, full keyboards, then full touchscreens, then larger touchscreens. Currently the megapixel race is on, and we’ve seen an array of 5 then 8 megapixel (and soon enough, 12) shooters hit the market. Problem is, as usual the US has been left out in the cold. No more! Samsung has brought their top of the line unit to the States courtesy of T-Mobile, with a few refinements and a new name. The Memoir is an 8 megapixel beast with Xenon flash and a slew of other features like smile detection and auto focus, all running atop Samsung’s widget-driven TouchWiz UI. The Memoir is smaller than you expect. 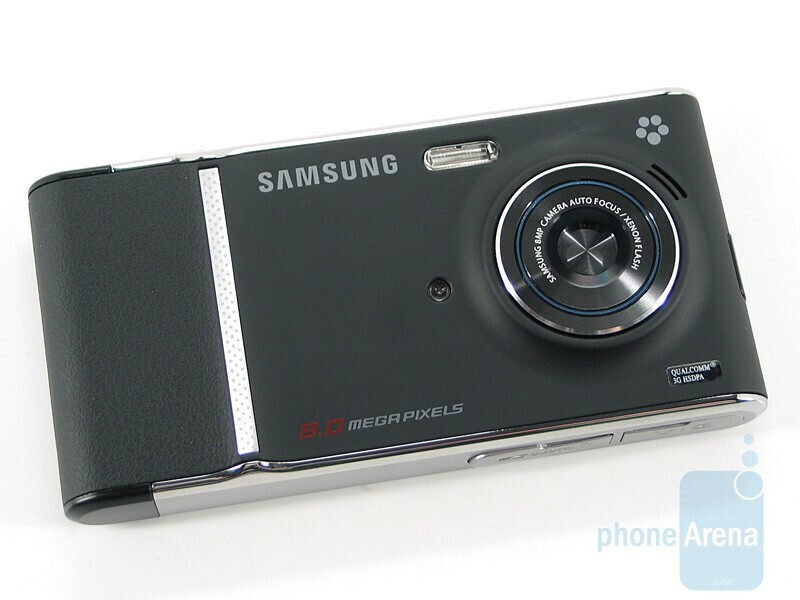 There is a noticeable camera bulge, but it fits well in the hand and is about the same size as the 5MP Behold. You can compare the Samsung Memoir with many other phones using our Size Visualization Tool. 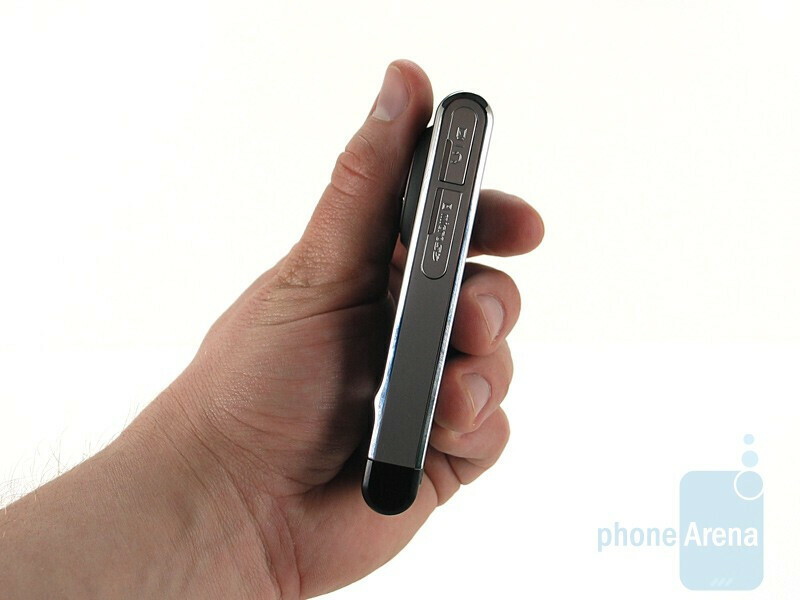 The front of the phone is dominated by the large touchscreen, with three simple buttons at the bottom: Talk, Back and End. Flip it over and it could easily pass as a digital camera. The camera lens is hidden behind a shutter and only opens when the camera is activated. The Xenon flash sits above the camera mechanism and to the left is the sensor light. In the hand it feels like a digital camera as well; the shutter button is placed below your right index finger, exactly where you’d expect it, and the volume rocker acts as a zoom for your left index finger. 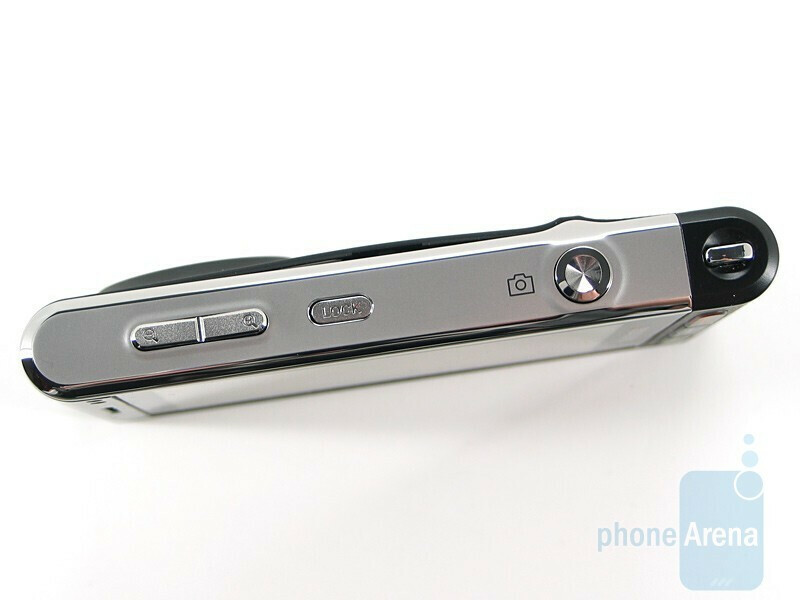 There is a simple lock button below the volume rocker, and on the left side of the phone you’ll find the microSD slot and charging/data port. Unfortunately it uses Samsung’s proprietary adapter and not microUSB. This port is also used as the headset jack; no 3.5mm love here. All of the buttons have very good tactile feedback so there is no doubt as to when they have been pressed. The 240x480 display is very attractive and responsive. It holds up to sunlight well enough and the haptic feedback lets you know when you have activated a feature. 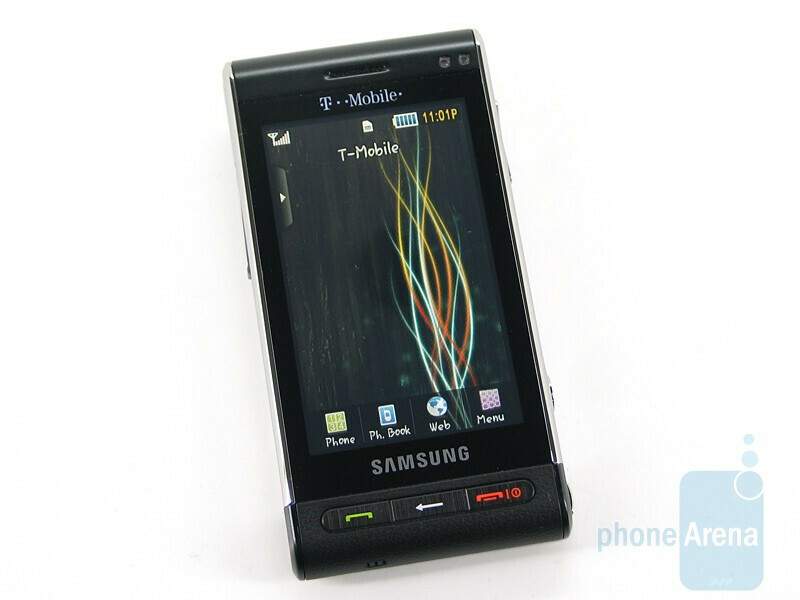 At 3.1” and 262K colors it is not quite as rich as the iPhone or N96, but beats most other models on the market. The design is very straightforward and simplistic, and we like the results. 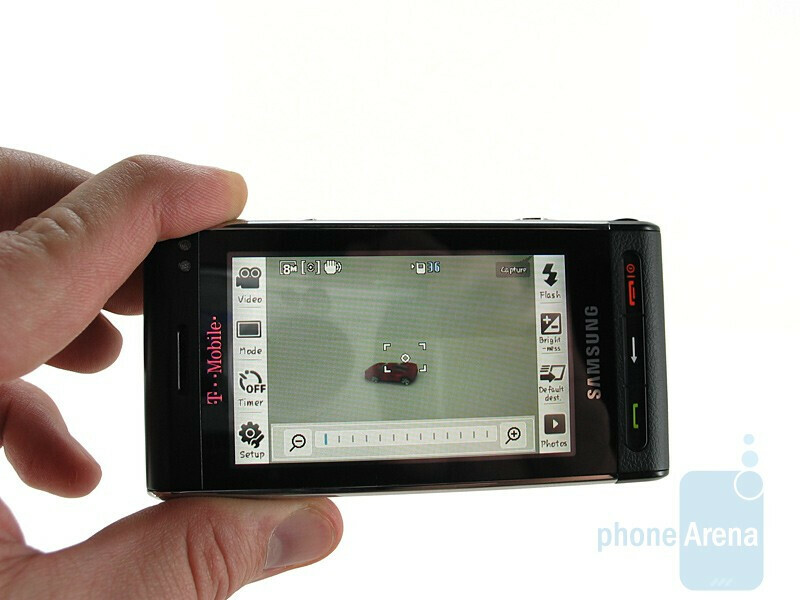 It fits nicely in our pocket, unlike other high class camera phones such as the Nokia N96. The camera hump is noticeable, but not a deal-breaker and carrying it around it felt no different than our Instinct. 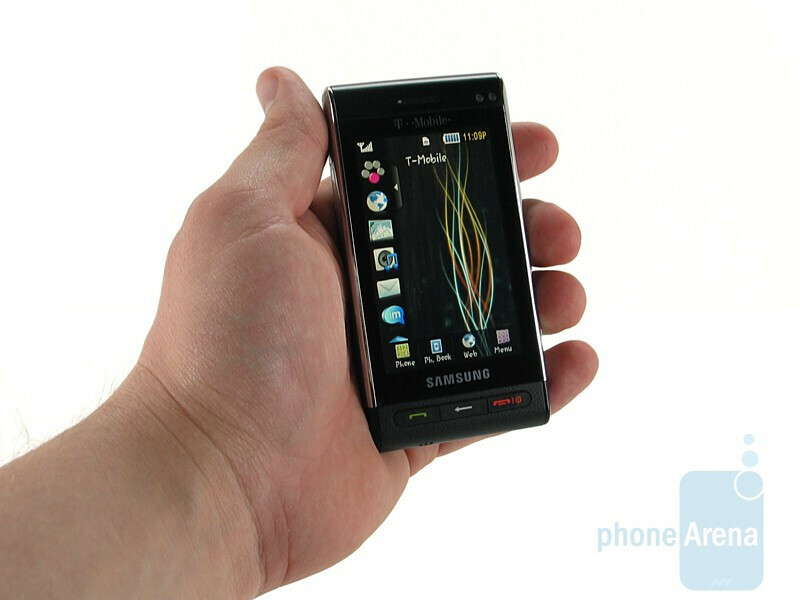 The build quality is of the highest standard, as we’ve come to expect from Samsung. hi i can see that good shot of easton town center and columbus state community college. I would like to meet up some day maybe we can discuss possible collaboration. email me if you are the administrator please. I don't know how you really rate but if you add and then divide the numbers you get a 7.8 rating. How can you give a 9.5 as a phone ( unless is a mistake)? As a camera I understand, but as phone in your review you killed it! Hey, please check our "How do we rate?" page.http://www.phonearena.com/htmls/howdowerate.php Although it has its cons, this camera phone scores excellent in its class. No Wi-Fi = poop. End of story. "Unfortunately call quality was downright abysmal. Callers frequently had to ask us to repeat ourselves, and told us that this was the worst phone we’ve ever tested. " Rated 9.5 out of 10 by phonearena.com I can see the advertising campaign now...... This might have been a different story if the camera by itself was rated on a different website (i.e. dpreview.com). But on a phone web site when a phone is said to be "the worst phone we ever tested", it is safe to say that it does not deserve a 9.5 rating. Just my 2 cents. I don't have this phone, Pr0cl1v1ty. I don't even have T-Mobile. What I made was a sarcastic remark that involved QUOTING phone arena's review. Notice the lovely QUOTATION marks which elegantly indicate my reference to the relevant article that we are discussing. 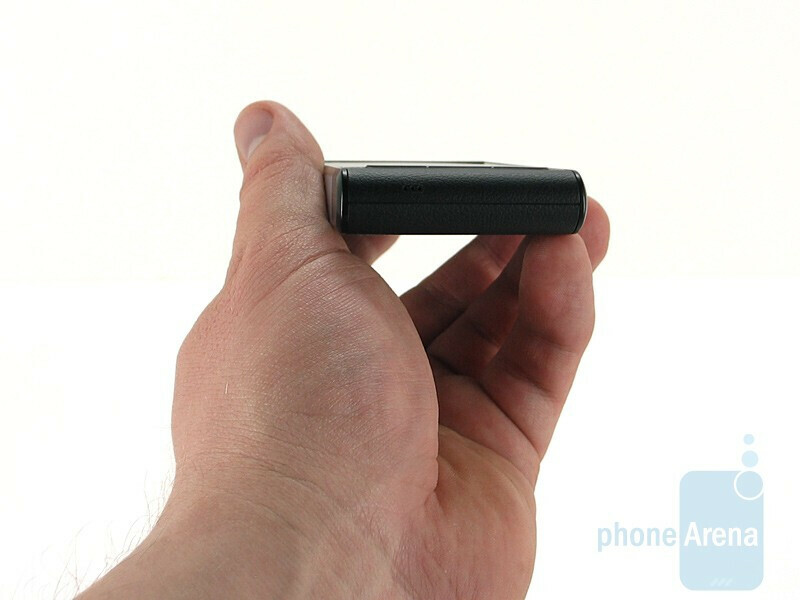 If you would please take the time to read phonearena.com's review of this device, specifically the performance section, then return and re-comment it would be much appreciated. Thank you and have a nice day.